Diet fads come and go. Remember the Beverly Hills Diet, the peanut butter and beet diet, the cabbage soup diet, or Atkins? We’ve done some crazy things to lose weight over the years. Juice fasting is the latest trend in losing weight. But this is more than dropping pounds, it’s more like a nutritional holiday for your body. Juice fasting popularity has been sparked by the inspiring documentary Fat, Sick and Nearly Dead . Joe Cross takes us on a journey as he fasts for 60 days and gets others to join the juice parade. You’ll want a good centrifugal juicer for fasting. Look for one that has a big opening, is easy to clean, and extracts the most juice from your fruit. The Breville and Cuisinart juicers are going to be the best choices. 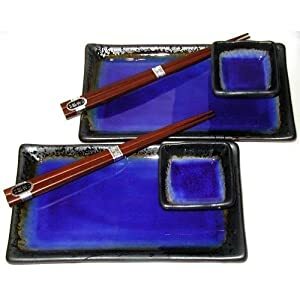 This sushi set has a deep, cobalt blue glaze that stands out on the table. It may not make your sushi taste better, but it certainly will look fabulous. 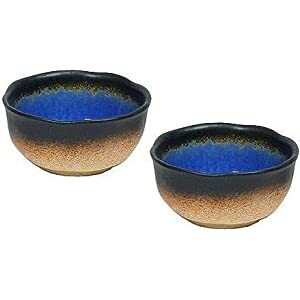 These bowls would be great for your miso soup. 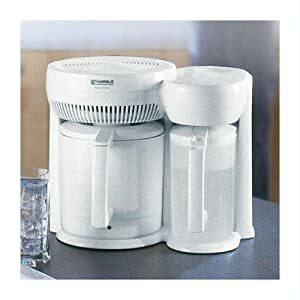 This water purifier by Waterwise does more than filter water. It’s a distiller for the ultimate in clean water. It also can handle up to 6 gallons of water a day and has a timer to let you schedule it to run over night for your morning coffee. Unlike the basic filters, steam distillation removes harmful substances such as: arsenic, aluminum chloride, chlorine, chloroform, copper fluoride. lead, MTBE, mercury, nitrates, sodium sulfate, bacteria, viruses, and other icky puey stuff you don’t want to drink. 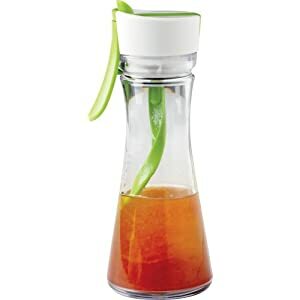 It’s easy to make healthy salad dressings with this special blender. Simply pour in your ingredients: oil, vinegar, herbs, and then squeeze the handle to mix everything together. Use this to make some Green Goddess Dressing or a nice French Vinaigrette. Turn your baby into a little foodie by making fresh, wholesome food at home. Here are some items that you’ll need to make these healthy baby meals. First, start with a steamer. 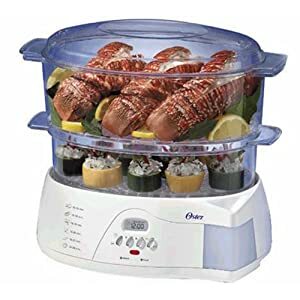 The Oster 6-Quart food steamer will cook your vegetables perfectly. 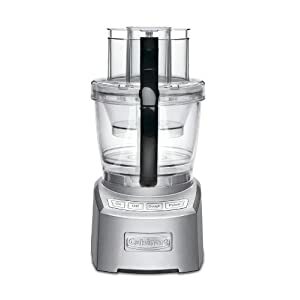 Now we need a really good food processor. The Elite Collection by Cuisinart features three bowls for making just the right amount. They are also self sealing, so you don’t have to worry about liquid mixtures dripping on the counter. The stepped bowls also make it easy to do prep in the small bowl and then puree in the larger bowl. 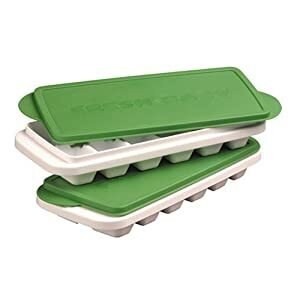 These container sets help you save your food in meal-sized portions. Now that you’ve got the equipment, it’s time for some recipes. 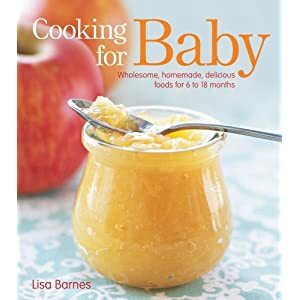 This book by Lisa Barnes has plenty of tasty dishes for the little foodie. This post was inspired by an Amazon list by Amber, who knows a heck of a lot more about babies than I do. I know what’s in it. Baby gets a wide variety of foods. I think that’s why my one year old will eat anything. 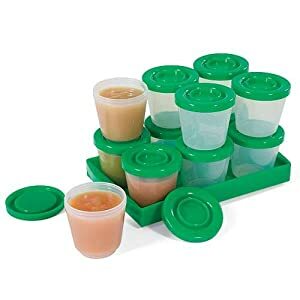 Jarred baby food doesn’t have much variety and a lot of it tastes the same. They aren’t exposed to many flavors. Easy. Look how short my list is! You don’t need a lot of stuff. Obviously it does take time, but I only spend about one hour, one day a week making her food. My freezer is stocked. Here’s a video introducing home made baby food. The Cuisipro Donvier Yogurt Cheese Maker takes a bunch of yogurt and turns it into a more solid block of cheese. You can use this instead of cream cheese in your recipes to save calories. You can also use it to make Laban, a middle-eastern salted cheese. 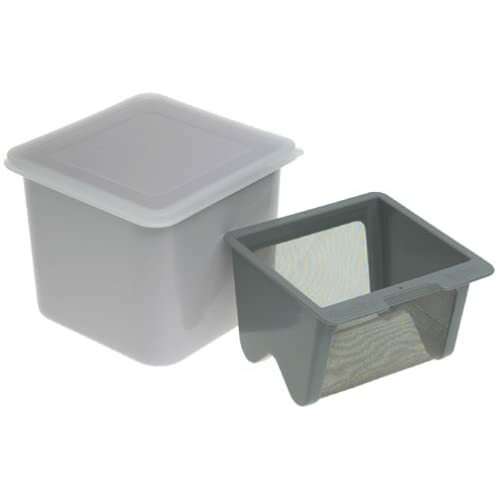 Basically, this is a fine sieve that holds the yogurt and allows the moisture to drain into the container. Simply pour in your fresh yogurt, pour out the whey, eat you healthy yocheese.